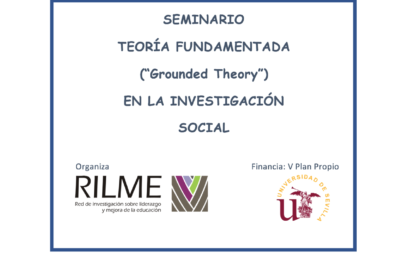 The Network of Research on Leadership and Improvement of Education (RILME), in collaboration with the Autonomous University of Madrid, organizes the II International Congress on Leadership and Educational Improvement (CILME), to be held in the Faculty of Teacher Training and Education next May 28, 29 and 30, 2018 in Madrid (Spain). The theme of this II CILME 2018 Congress is “Democracy and Distributed Leadership in Education”. 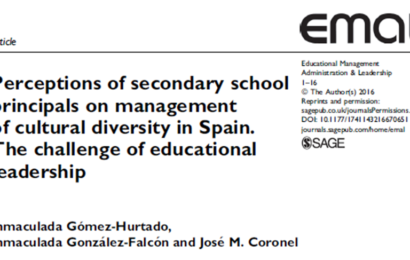 The Congress seeks to become a place of encounter and debate among researchers, managers and teachers interested in the theoretical-practical areas of Leadership and Improvement at all levels and areas of education. 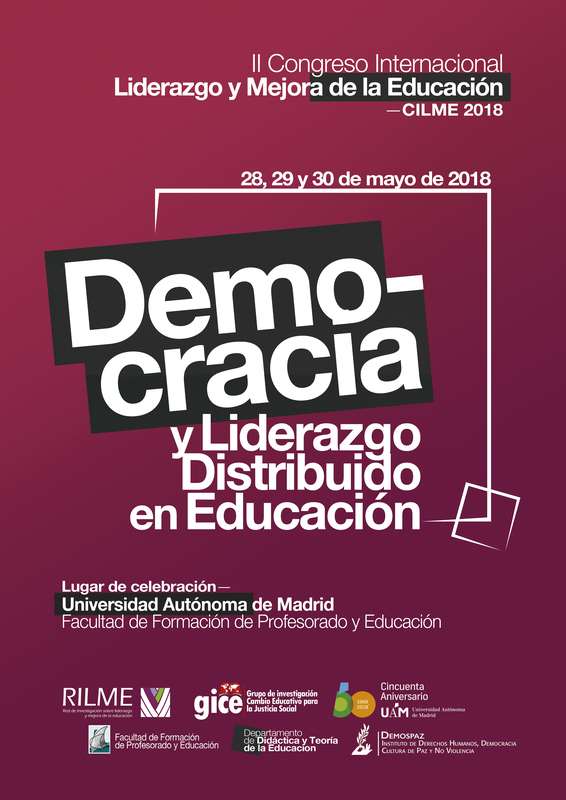 In the organization of the CILME 2018 congress, along with RILME, the Faculty of Teacher Training and Education, the Department of Didactics and Theory of the UAM and the Institute of Human Rights, Democracy, Culture of Peace and Nonviolence (DEMOSPAZ) of the Autonomous University of Madrid.